Although there are likely several factors driving firms to choose a sole provider, there is a clear inverse relationship between the diminishing ability to recover online legal information costs and the movement to sole-provider. 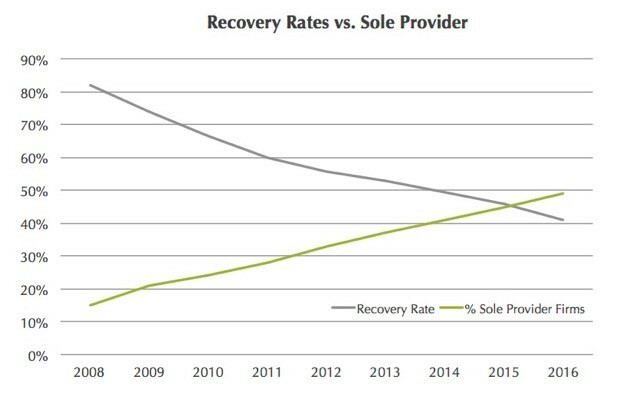 Since recovery rates began decreasing in 2008, the percentage of sole-provider firms has been increasing correspondingly. The chart above illustrates this trend. Learn more about these trends in our latest white paper, Westlaw & Lexis: Path to Commoditization.